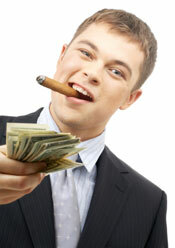 Unethical Practice #7: Agents who tip their clients' hands. Sellers are almost always willing to accept less than buyers are willing to offer. It would be unusual, after all, if a buyer's top price happened to be exactly equal to the absolute minimum that a seller would be willing to accept. This gray area--the difference between what a buyer is willing to pay and what a seller is willing to accept--is usually awarded to the side that does the best job negotiating the contract. Agents, I've found, are often not good negotiators--and this shouldn't be surprising. Being a good negotiator involves being willing to risk losing a deal in order to squeeze more money out of the opponent. This often makes sense for buyers and sellers, but it's not a good business practice for agents. A sellers' agent who tries to get the other side to give up $10,000, for example, stands to increase her commission by only an additional $100 to $200--but risks losing her entire commission if the other side refuses. A buyers' agent has even weaker incentives, since he not only risks losing his commission by driving a harder bargain, but his commission actually goes down if he succeeds. It's the rare agent who will call another and whisper, "Hey, my buyer's top price is $560,000" or "My seller will accept $500,000." But agents often reveal more than they should. 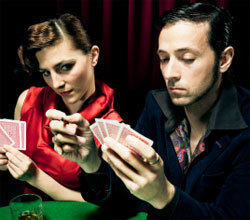 Negotiating home prices is like a high-stakes poker game. 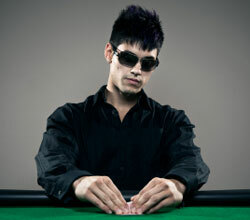 Professional poker players put on poker faces (and often sunglasses) during games in order to avoid giving "tells" about the strength or weakness of their hands. And that's how you want your agent to play--revealing little while learning a lot. "No, I don't think so--I don't think he'll even respond to an offer below "$520,000." The tell: the seller will probably respond to an offer of $520,000 or more. "Go ahead--but expect a counter." The tell: Our side probably won't get rejected if we start low. The seller probably hasn't received any other offers yet. Here's how many agents actually play. The agent might share the offer price with his own buyer, so that the buyer need only bid a small amount over the next highest bid. The agent might share the offer price with a colleague, in hopes that the colleague will reciprocate on a later deal. That way, the colleague's buyer only needs to bid a bit over the next highest bid in order to win. The agent might use her access to information about offers to try to recruit buyers. For example, an agent might say to a prospective buyer that she is in a special position to put the buyer on top--hinting that her buyers will be able to learn what rival bidders are offering. The last gambit is especially damaging to sellers. I've had buyers refuse to make offers if they thought the listing agents intended to stack the deck in favor of their own clients. Why waste time on a rigged game? Suppose you're selling a home in a subdivision and--out of desperation--you accept an offer for $300,000 even though your asking price was $350,000. This is super-hot intelligence, and your agent's colleagues will be dying to know about it so that they can alert their clients to the upcoming low sales comp. If competing sellers in your neighborhood learn that you accepted $300,000, for example, they'll likely want to lower their prices immediately--say to $320,000--in order to get a quick sale before your sales comp becomes public information. Agents are supposed to keep the details of accepted offers secret, but many spill the beans. Sharing this information is great for your agent's brokerage and golf buddies, but it's bad for you. If your deal fails--and many do--your agent's indiscretion will make it much harder for you to get a better offer from another buyer. If you're a seller and you expect multiple offers, ask that all offers be sent to you and only you. In a world of emails and faxes, there’s no longer any good reason for offers to be funneled through sellers’ agents. Ask your agent to instruct buyers’ agents to submit their offers directly to you and only to you by either email or fax. After the offer deadline, you can sit down with your agent and go over the offers. Controlling your agent’s access to offers not only ensures against the agent having loose lips, it can also give you a strategic advantage in negotiations. The reason is that in multiple-offer situations, agents often get phone calls from other agents asking about the other offers. I find that agents often share more information than they should, and I suspect that most sellers would be better off keeping their agents in the dark. You get an offer that’s at or above asking price. Here, you might want to tell your agent more information about the offer, so the agent can tease out higher bids. Important: It's fine to keep your agent in the dark about offers, but never okay to lie to your agent about them. Lying about offers is a material misrepresentation that can result in a lawsuit. Play your cards close to your chest. Don't ever tell your agent how much you're willing to pay or accept for a home. 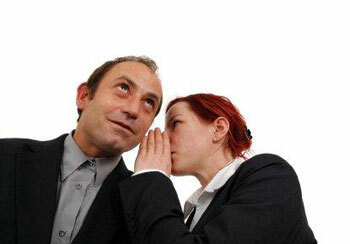 When you accept an offer, ask your agent to promise not to reveal it to anyone outside of the transaction. Most agents, I believe, will honor an explicit promise. Sell "For Sale by Owner" (FSBO). See my website, FSBOPrimer.com, to see the arguments for and against selling FSBO.